SEASON COMES TO AN END - Junior forward Lauren Moniot (23) scored the final goal of the 2019 season for the Lady Oilers against Deer Park. 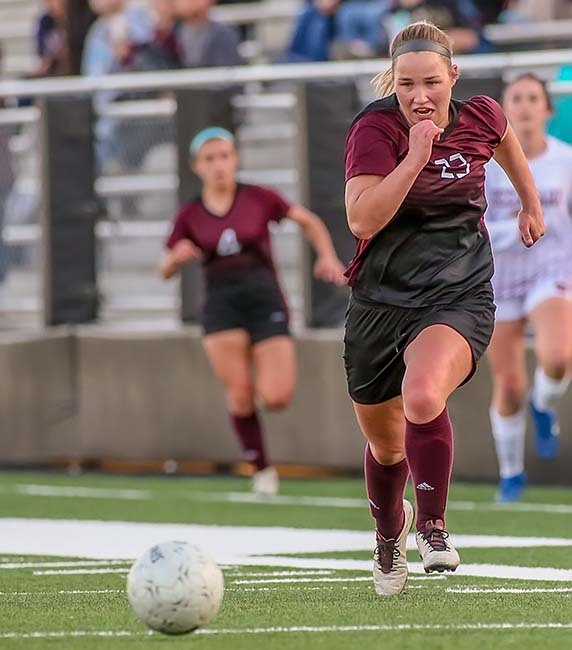 PEARLAND — Junior forward Lauren Moniot (23) scored the final goal of the 2019 season for the Lady Oilers against Deer Park. The Oilers fought hard but fell 2-1 in the area round of the 6A playoffs and they finish the season with a record of 15-8-2 overall and 7-3-1 in District 23-6A.